Originally from the UK, Professor Holland qualified as a doctor at St. Bartholomew’s Hospital Medical School and the University of London. After obtaining his general fellowship from the Royal College of Surgeons of England he moved to Australia, where he commenced further training as a Paediatric Surgeon at Princess Margaret Hospital for Children in Perth, the Women’s and Children’s Hospital in Adelaide and The Children’s Hospital at Westmead in Sydney. 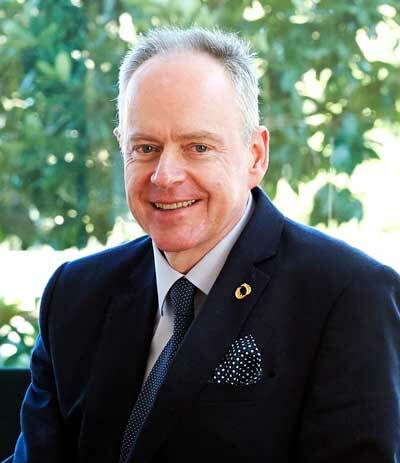 After obtaining his fellowship in Paediatric Surgery from the Royal Australasian College of Surgeons, Professor Holland was awarded a Surgeon Scientist Research Scholarship. His PhD in Paediatric Trauma from The University of Sydney was conferred in 2002. Professor Holland was awarded a personal chair in Paediatric Surgery at the University of Sydney in 2010 and in the same year became a Fellow of the American College of Surgeons. Professor Holland remains passionate about education, teaching and research in paediatric surgery, with over 200 publications in the scientific literature.